Among the many other superior products that Pac Fab manufactures are pool and spa filters. Among the many other superior products that Pac Fab manufactures are pool and spa filters. Here at Filters Fast, we offer quality items from Pac Fab, along with many other brands of filters, on our website. The FiltersFast FF-0151 is the correct replacement for the Pentair 178584. 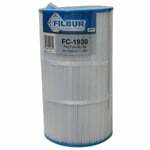 The Filbur FC-1920 compatible replaces the Pac Fab 17-4981 and features anti-microbial properties which prevent foul odors, algae, black mold and other harmful contaminants from growing on the filter that can result in lost filtration. The Filbur FC-1975 compatible replaces the Pac Fab 178569 and features anti-microbial properties which prevent foul odors, algae, black mold and other harmful contaminants from growing on the filter that can result in filtration lose. 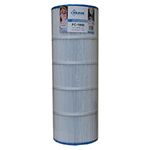 The Filbur FC-1960 compatible replaces the Pac Fab 17-4980 and features anti-microbial properties which prevent foul odors, algae, black mold and other harmful contaminants from growing on the filter that can result in lost filtration. The Pac Fab 17-2048 Comp. 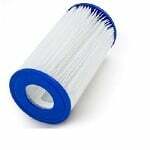 Pool & Spa Filter Cartridge is a pool filter replacement constructed with high quality media and 5 sq. ft. of area for the reduction of contaminants in swimming pools and spas. This compatible Pac Fab filter measures 2 7/8"
The Pac Fab 174819 Comp. 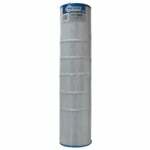 Pool & Spa Replacement Filter is a spa filter replacement constructed with high quality media and 5 sq. ft. of area for the reduction of contaminants in swimming pools and spas. This compatible Pac Fab filter measures 2 7/8"
The Pac Fab 17-2811 Comp. 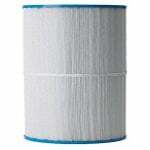 Pool & Spa Filter Cartridge is a spa filter replacement that purifies swimming pool and spa water through premium media. This compatible Pac Fab filter measures 7 7/8" x 22 1/8" with 3 1/16" Open top & bottom styles. The Pac Fab 4984 Comp. 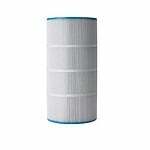 Pool & Spa Filter Cartridge is a spa filter replacement that purifies swimming pool and spa water through premium media. This compatible Pac Fab filter measures 7 7/8" x 22 1/8" with 3 1/16" Open top & bottom styles.